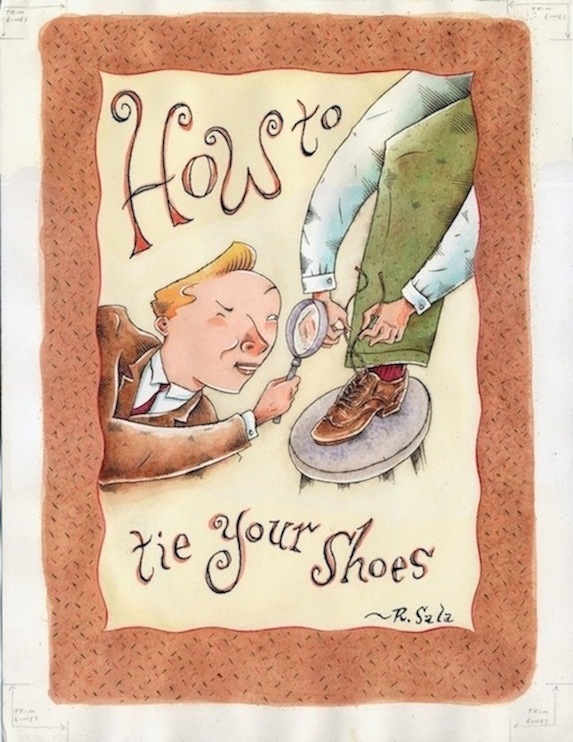 This 11" x 14" watercolor and ink illustration was done as the original cover art for a book titled How To Tie Your Shoes (a book of advice and household tips). The publisher ended up reducing the scale of the book to a small size and I did different cover art with three tiny drawings on it instead., and changed the name to The Little-Know-How Book. 1992. Signed.